Dutch is no longer a popular choice for prospective students but universities are partly to blame, says Lotte Jensen, professor of Dutch cultural and literary history at Radboud University in Nijmegen. In recent weeks newspapers have been reporting on the alarming decline in the number of young people opting to study Dutch at university level. It is a worrying development which, if the trend continues, could land Dutch in the department of minority foreign languages. There are several reasons why this should not be allowed this to happen. Not only do we need academically trained Dutch language and culture graduates to teach at secondary schools, we also need specialists to conduct research into the Dutch cultural heritage. Teachers at secondary schools and universities are doing everything in their power to promote Dutch for the benefit of future generations. But there is one thing they have no control over and that is the negative attitude of some university officials towards the Dutch language. 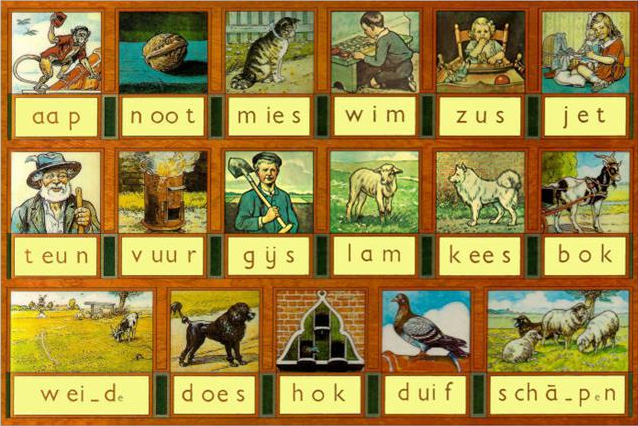 If they think Dutch is a second-rate language, what are future students going to think? We have witnessed the rapidly declining status of Dutch in university education: 74% of master degrees are already conducted in English and the number of English-language bachelor courses is growing apace. Increasingly, English-language courses are poaching students from their Dutch-language equivalents because future students think the former carry more status. This also has a negative impact on Dutch as a subject in secondary schools. The message to students is that they had better concentrate on their English language skills if they want to go on to higher education. The recently agenda on internationalisation published by the association of universities VNSU is an abject example of just how undervalued Dutch is. There are pages and pages about the importance of internationalising university education (i.e. switching to English) while at the same time Dutch is relegated to second place. The association mentions in passing that there will have to be a ‘sufficient’ number of bachelor courses in Dutch at a national level but fails to explain how many ‘sufficient’ actually is. No mention at all is made of Dutch-language master degrees. We see a reflection of this attitude in a letter sent to MPs by education minister Ingrid van Engelshoven. In it she pledges her support for more internationalisation and an extension of the law to give English-language education even more headway than it already has. Several Dutch language students have been pondering this one. Does it actually say we can cast aside Dutch provided we don’t do it too lightly? I was pleasantly surprised when the minister of all people addressed the audience at Tilburg university at the opening of the academic year in Dutch. The reason for this, she said, was to promote a better balance between languages, a slightly lopsided view since the rest of the ceremony was conducted completely in English. President of the executive board Koen Becking justified his use of English by saying ‘I’m doing my speech in English, because that is what we do when there are people among us who do not speak Dutch’. Apart from a not too polite dig at the minister, this also illustrated how lightly some people cast aside Dutch. We really want new students to choose Dutch but it would help if university officials everywhere would demonstrate that they take the language seriously.